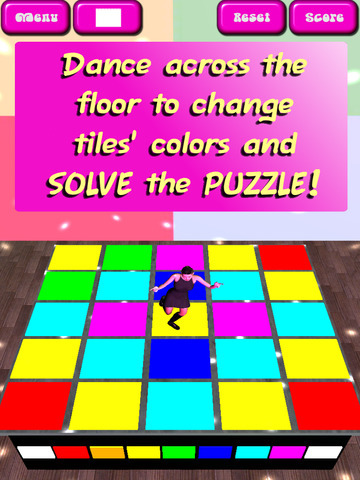 Dance your way across the disco tiles to solve puzzles! 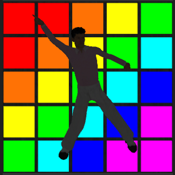 Use your brain and your fingers to dance hard and become a DISCO STAR! Each move onto a tile changes its color. Make all tiles white to win! 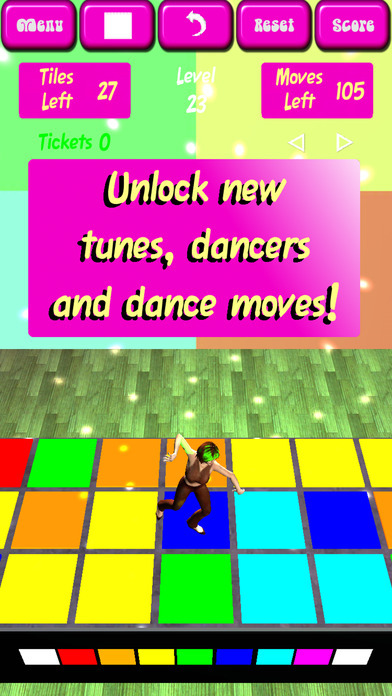 Unlock new tunes, dancers, and dance moves! 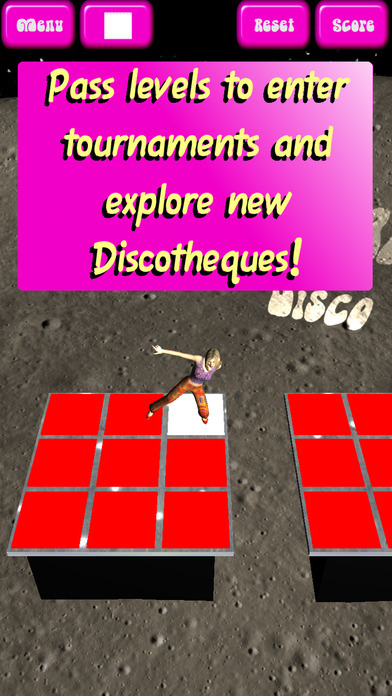 Pass levels to enter tournaments and explore new discotheques! Each level stays the same and has at least one solution! Earn or buy tickets to unlock even more levels, tunes, dancers, and dance moves! Join a Dance Team to get and give Gift Tickets! Check out your score on the Leaderboards!